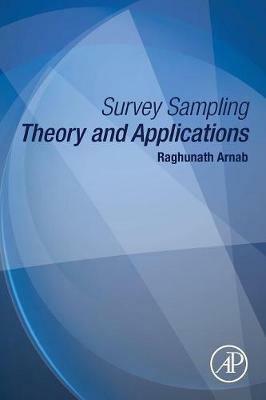 Survey Sampling Theory and Applications offers a comprehensive overview of survey sampling, including the basics of sampling theory and practice, as well as research-based topics and examples of emerging trends. The text is useful for basic and advanced survey sampling courses. Many other books available for graduate students do not contain material on recent developments in the area of survey sampling. The book covers a wide spectrum of topics on the subject, including repetitive sampling over two occasions with varying probabilities, ranked set sampling, Fays method for balanced repeated replications, mirror-match bootstrap, and controlled sampling procedures. Many topics discussed here are not available in other text books. In each section, theories are illustrated with numerical examples. At the end of each chapter theoretical as well as numerical exercises are given which can help graduate students.